Last week I wrote about what our family would like you be aware of regarding autism. I also wrote about the need for autism acceptance. This week let's talk about what acceptance looks like vs. awareness. Please remember these are true for our family. Autism is a spectrum disorder. Each person with autism is effectively differently. What else would you add? How can you work to accept autistic people? The most common ending to that sentence is awareness month. I'd like to see us (ya know, society) move past awareness to acceptance. I do understand that awareness leads to acceptance so here are some things our family would like to make you aware of about autism. 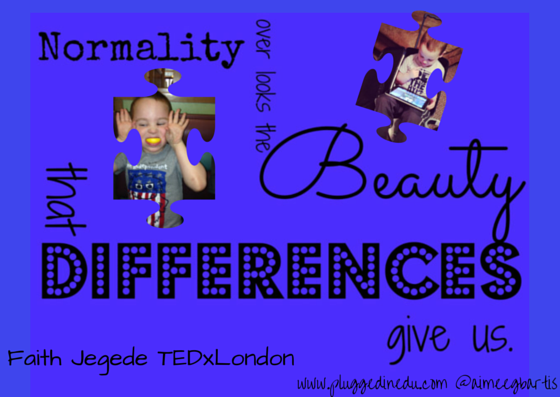 I'd like you to be aware that every kid, autistic or not, is different. Every kid has challenges. We need to do what we can to help kids handle their challenges effectively. 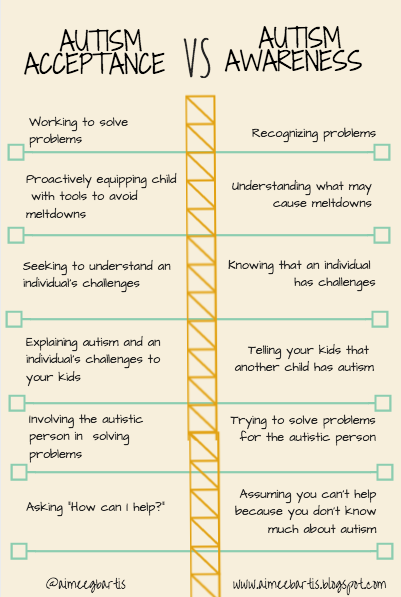 My autistic kiddo needs a little more time, direction, patience and love to handle his challenges that my neurotypical kiddos. Please also be aware that while my autistic kiddo speaks, ALOT, he still has trouble communicating. Most of the time he's repeating things he's heard or talking about a favorite subject. Don't take things personally. Some things he says or does are almost involuntary. Sometimes B says things in mid-meltdown that are rude or hurtful but I know he's not himself. But mostly remember that they are very special people. Have patience with people who have autism. If you choose to donate money to an organization this April, would you please consider donating to the National Autism Association? Roughly 48% of autistic children wander. Some die of a result. According to the NAA, in 2009, 2010 and 2011, accidental drowning accounted for 90% total U.S. deaths reported in children with ASD ages 14 and younger subsequent to wandering/elopement. To help families keep children safe, the NAA offers the Big Red Box. They can only provide these boxes as funds are available. Please click here to donate $35 to help provide a box to a family.